Every year on the birthday of James Madison, the United States celebrates Freedom of Information Day. Sharing this day with James Madison is no coincidence, as he is remembered historically as the foremost advocate for openness in Government. The spirit of the day is tightly tied to the U.S. Government Publishing Office’s (GPO) Federal Depository Library Program (FDLP). As members of the FDLP, depository libraries play a prominent role in providing Federal Government information to the public. FDLP libraries collaborate on a local and national level to provide informed access to both historical and current Federal Government resources. At the core of the FDLP is a desire to provide public access to Government information and to ensure the public’s right to know about its Government. GPO also provides digital access to authentic, published information on the three branches of the Federal Government on govinfo. 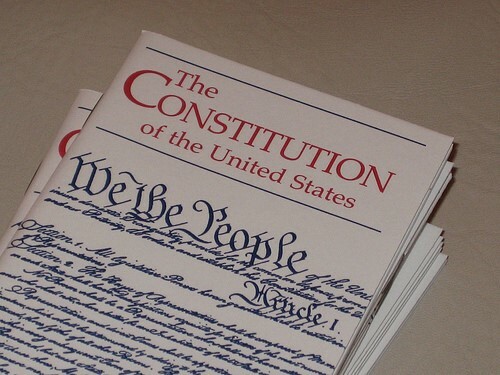 Constitution of the United States and the Declaration of Independence (Pocket Edition)- What better way to celebrate the Freedom of Information day than by reading the Constitution. Even better, this version is a pocket version, so, you can take it with you wherever you go. Overview of the Privacy Act of 1974, 2015 Edition – Issued biennially and prepared by the Department of Justice’s Office of Privacy and Civil Liberties (OPCL), the “Overview of the Privacy Act of 1974” is an up-to-date discussion of the Act’s disclosure prohibition, access and amendment provisions, and agency recordkeeping requirements. The overview provides reference to, and legal analysis of, the latest court decisions interpreting the Act. What is the extent of the threat to national security posed by the media’s disclosure of classified information? What are a journalist’s motivations and justifications for publishing this information? The author concludes that the dilemma between withholding information in the interest of national security and the constitutional guarantee of a free press cannot be “solved”, but can be better understood and more intelligently managed. Foreign Denial & Deception Series. 5 U.S.C. § 552– Starting on page 27, read the U.S.C. section on Public information; agency rules, opinions, orders, records, and proceedings. Public Law 110-175- Openness Promotes Effectiveness in Our National Government Act of 2007- Also knowns as the OPEN Government Act of 2007, this was signed into law on December 31, 2007. This act amended the Freedom of Information Act. 90 Stat. 1241– Read about the Government in Sunshine Act (Public Law 94-409) that was passed on September 13, 1976. This act is also part of the Freedom of Information Acts. Rept. 112-689– A Citizen’s Guide on Using the Freedom of Information Act and the Privacy Act of 1974 to Request Government Records is a report by the Committee on Oversight and Government Reform. This document includes sections on what records can be requested under FOIA, requirements for agency responses, and reasons for denial of a FOIA request. About the author: Our guest blogger is Jaime Huaman, Outreach Librarian in GPO’s Library Services and Content Management (LSCM).